Love at first sight might be the most accurate way to describe my relationship with this shirt. 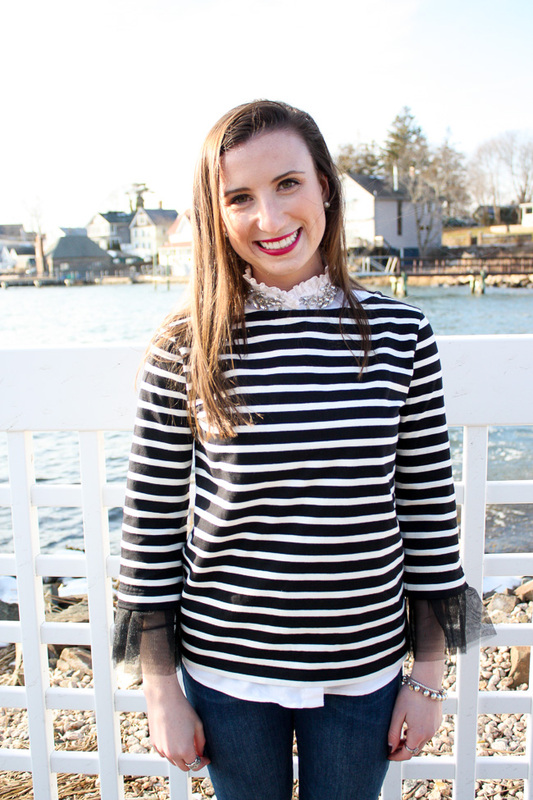 The tulle cuffs are the type of attention to detail that J.Crew perfects oh so easily, and we all know that J.Crew knows it's horizontal stripes quite well. From the moment I saw it, I knew I had to get my hands on it! If I'm being honest, I was a little bit unsure as to how the tulle cuffs would look when I actually put the shirt on, but one quick trip to the dressing room took care of all those worries. It was perfect. The shirt itself fits just as it should, and the tulle cuffs hits just at the right spot to be very flattering on. 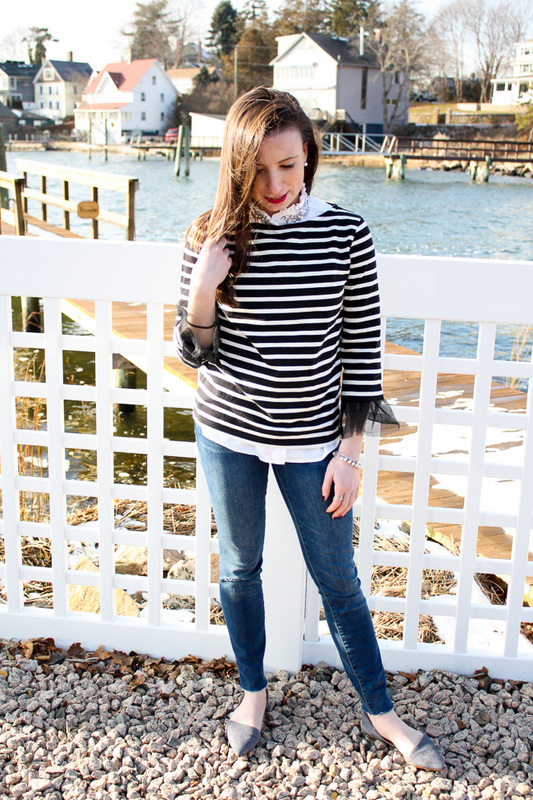 Leave it to J.Crew to knock the tulle and stripes combo right out of the park! 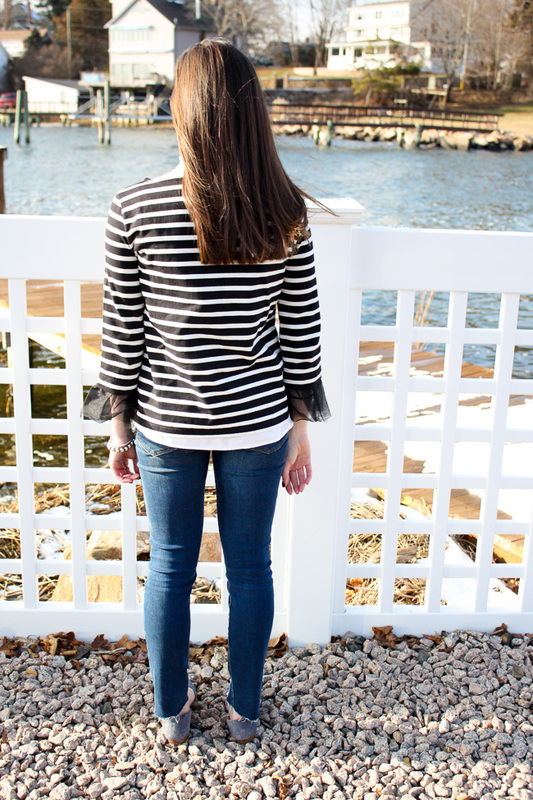 I love love love tulle these days and stripes will never go out of style in my book, so this shirt feels like it was made for me. Thanks J.Crew! To style it, I just threw on my go-to pair of jeans and an embellished collared shirt underneath. Unfortunatley the embellished shirt is old, but wearing the tulle cuffed shirt on it's own works out just as well and really lets it steal the spotlight! My flats, although not the warmest choice of shoes, completed the outfit perfectly and are quite comfy, which I can't complain about. 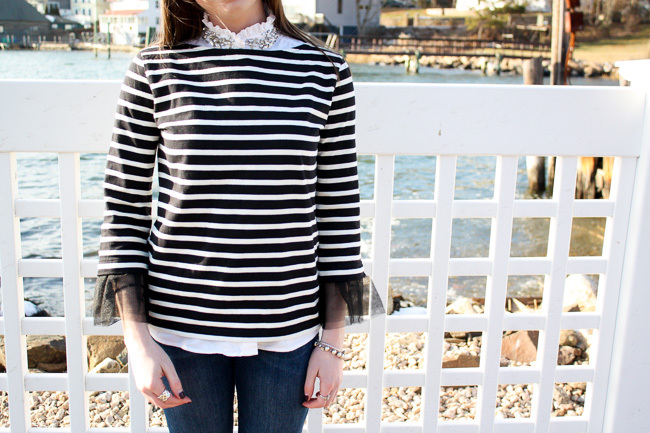 This shirt is just so fun and I look forward to all the different ways it can be styled. It's perfect for anything from black leather pants to white jeans or even a cute mini, and it can definitely be dressed up or down depending on the occasion. 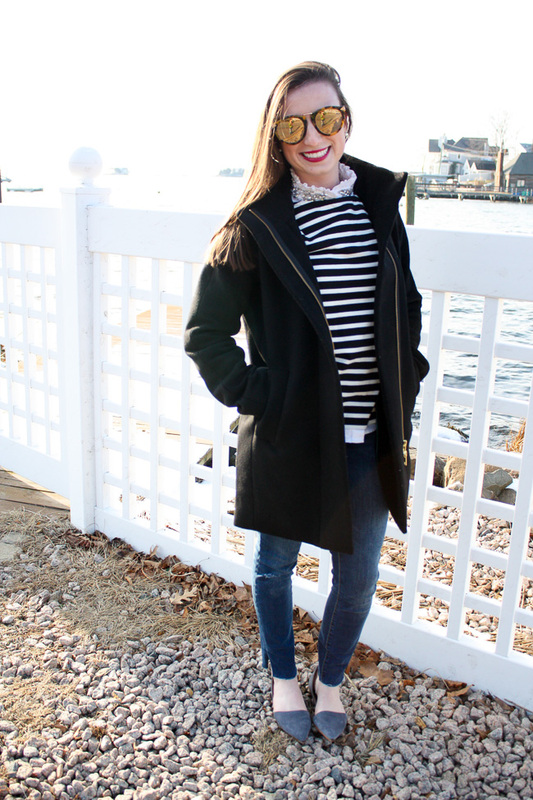 I know that this outfit will without a doubt be worn on repeat in the upcoming months! Special shoutout to my darling mother for shooting this look for me!